Walking down a busy, diverse city street can be quite a varying experience at different times of day. The people change, the moods change, our paces and focus change, and what we notice and linger on changes, even though the structures remain the same. 9 WALKS DOWN 7TH AVENUE treats its cluster of thematic ideas in the same way. 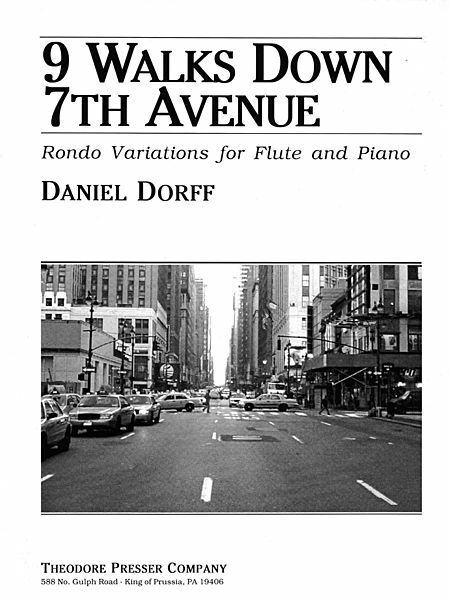 It is built similarly to a theme and variations and may sound like a rondo, but it's really a series of 9 different shapings of the opening kaleidoscopic rush of contrasting ideas, much like a series of walks down New York's 7th Avenue. 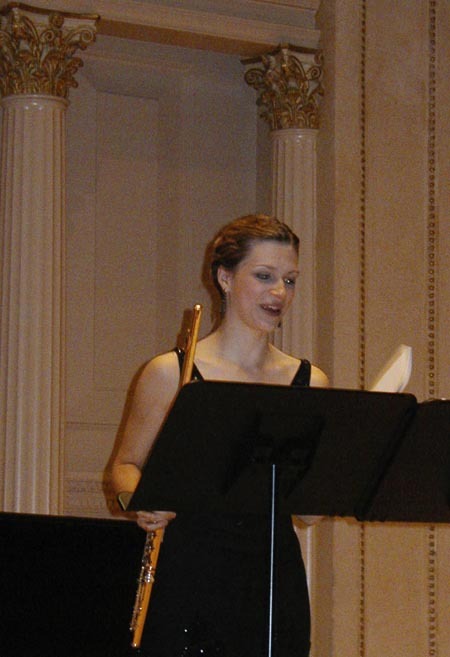 A complete recording and more information are provided on the Flute page of this website.